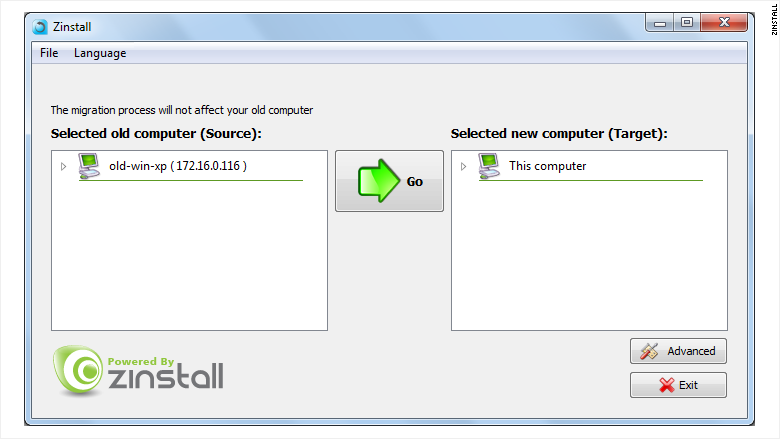 Zinstall lets you transfer your files from your old PC to your new Widows 10 PC. Got a new Windows 10 PC? Want to transfer your files, programs and settings from your old PC? There are two ways to get that done: The hard and free way, or the easy and expensive way. If you don't feel like shelling out money to transfer your stuff to a new PC, there's bad news: Windows no longer includes its Easy Transfer software that lets you automatically move files and settings between two PCs. So you're going to have to do everything manually. 1) Copy and move all your old files to a new disk. You'll need to move them all to an external drive, either in the cloud (such as Microsoft OneDrive, Google Drive, DropBox) or an external hard drive. 2) Download and install your programs onto the new PC. Transferring your files won't actually install any software programs on your new PC. You'll have to download them yourself from their respective websites or the Windows Store. 3) Adjust your settings. Remember how you painstakingly set up your old PC so it worked just the way you wanted it? You'll have to do that again, with every application and setting. Bummer. If you already back up everything to the cloud or an external hard drive, and if you're more of a casual PC user, manual is probably the way to go. All of that shouldn't take you more than an hour. But if you're a heavier PC user and doing all that transferring, downloading and adjusting sounds like a nightmare, there's good news: There is software that will do it all for you (for a fee). 1) Zinstall's "WinWin." The product will transfer everything -- programs, settings and files -- to your new PC for $119. It works over the Internet -- no cables needed. The company says transfers typically take two-three hours. 2) LapLink "PC Mover." A Microsoft (MSFT) partner that has been doing file transferring for decades, LapLink will transfer your programs, settings and files for $72. You'll need to order a physical box, though, which includes a transfer cable (the $72 includes the $12 shipping charge). So if you want to transfer your files tonight, you're out of luck. 3) EaseUS "Todo PCTrans." A $50 option that will let you transfer everything between two computers on the same network. You can even download a free trial that lets you transfer two applications gratis.